Thinking about teaching English in China, but unsure of what this involves? Whilst a typical day as an ESL teacher will vary from placement to placement, establishments do converge to a general structure. Hence, this blog illustrates this general guideline to give you better insight into life as a teacher in China. Teaching English in China can take place through various channels. You have the choice between teaching in kindergartens, primary schools, secondary schools, universities, private language schools, or becoming a private English tutor. Your work hours will thus depend on the establishment you are based in. If you are employed by a school or university, work will take place Monday through Friday and generally fall between the hours of 8am and 5pm. In a private language school, you will be required to teach on weekday evenings and weekends. If you are a private tutor, your timetable will depend on both your own preferences and the availability of your acquired students. At Teach Globally we offer recruits the opportunity to teach at private schools and private language schools located across China. Thus, we will expand on working hours for these institutions a little more. At a private school, lessons typically begin around 8am and end around 4pm. Each lesson is generally 50-minutes in duration and there is a 10-minute gap between the start and end of each period. You will not be required to teach in every period, and your actual timetable will vary from day to day. For instance, you may have days where you start late and other days where you finish early. A standard contract requires you to teach 20 lessons in a week, however, if you would like to increase your workload, you should have no issues gaining extra-time. It is important to remember that teaching each lesson comes with a prerequisite of having produced a lesson plan and grading any previous work you have issued to your students; thus teaching 20 lessons will constitute more than a 20-hour work week. Private language schools are generally the highest paid and the most common place to teach English in China. These are academies that children go to alongside their regular schooling in the evenings and on weekends. As you may have deduced, working in such an institution will require you to work on weekends, however, you will still only work a 5-day week, as you will be compensated with two consecutive days off in the business week. When working for a private language schools, most of your teaching will fall on the weekend and generally you will only be required to teach around 3-hours when working on a weekday. Weekday classes typically start around 5pm, however you are expected to come into the school earlier to prepare your lesson plans and organise your classroom. On weekends, teaching usually starts around 8am and will finish around 5.30pm. Classes are typically an hour and a half in length, and sessions are divided with the customary 10-minute break. The workday is also typically broken up with an hour-and-a-half lunch break and a second half-hour break later in the day. In China, private language schools either come in the form of large franchises or small institutions that either have a singular location or a few branches in close proximity. The problem is each franchise is independently managed and thus working environments can vary greatly across branches. Smaller establishments present the added difficulty of vast fluctuations in offered salaries and benefits. Thus, at Teach Globally we have taken all the hassle out of the situation for you. We make sure to vet all our partner schools to guarantee that we secure you both a competitive salary and desirable working culture. The other major contributing factor to the workday is the required commute. This is obviously highly variable, depending on the location of your home in relation to your school and the available transport links that connect the two. At Teach Globally many of our partner schools provide accommodation, if this is the case you can expect your commute to be relatively short; typically walking distance. However, if you are offered a teaching position at a school that doesn’t provide accommodation, don’t fret; Teach Globally will put you into contact with experienced local agents that will find you an apartment. All you will have to do is provide the agent with a list of your requirements, such as living on the same metro line as your school or having an abundance of restaurants and convenience stores in your neighbourhood, and they will find you an apartment that meets your every request at an affordable rate. Best of all, this is usually done in less than a week. The final issue I will address concerns that actual nature of the work you will be required to do. Many of our recruits are recent graduates and have never taught before, therefore they are naturally anxious and uncertain about their abilities as an educator. If you find yourself in this position, know that you’re not alone. The thing to remember is, that whilst you may be new to teaching, you are not new to education. You have been learning your whole life and no doubt you have come across your share of good and bad teachers, hence you do have an idea of what it takes to be a skilled teacher. The only thing left to do is apply these principles to your own practice, and no doubt you will become better at doing this over time. Above this, teaching English as a foreign language provides an excellent opportunity to gain some international exposure, in a job with a very manageable workload. Moreover, with the relatively high salary of teaching English in comparison to living costs in China and the ample free time afforded, you have the resources to extensively explore the local culture and that of neighbouring cities and countries without breaking the bank. If you want to read more on living cost in China, click here. Launched in 2012 by renowned chef Paul Pairet, Ultraviolet is a culinary experience like no other. Even getting to the restaurant is unusual, as the location of Ultraviolet is kept a secret. Instead diners must gather at Mr & Mrs Bund, another distinguished Pairet restaurant in Shanghai, from where they are escorted to Ultraviolet. The strangeness does not end here, walking into the venue you will find the dining area is an isolated room, where the walls have been wrapped in large monitors, and in the centre of the room a single table set for 10 guests. 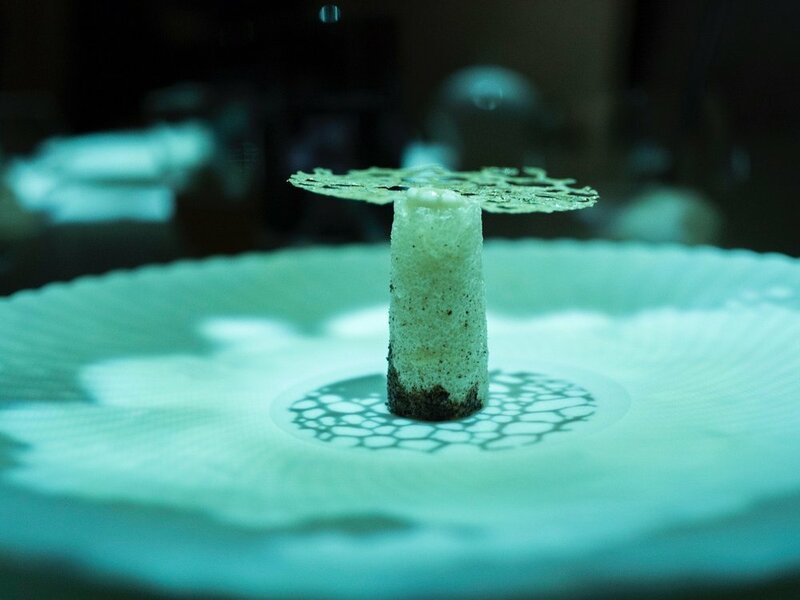 There is a 20-course set menu, with distinct music, smells and imagery to complement each course, creating a truly multisensory experience that overwhelms all 5-senses. Yet most importantly, the menu can stand on its own, and the everything else simply adds to rather than distracts from. As you probably suspect, reservations must be made months in advance. 8½ Otto e Mezzo Bombana began in Hong Kong where it became the only Italian restaurant outside of Italy to receive 3-Michelin stars. Following on from its success, in 2012 Chef Umberto Bombana opened a branch in Shanghai. The restaurant is a celebration of all things Italian, starting with its name which is a nod to the classic Italian Federico Fellini film ‘8½’. The restaurant is located in the up-and-coming Rockbund district, adjacent to the bund. 8½ honours the ‘less is more’ mantra with the menu, which intricately balances the flavours of its obvious premium ingredients. Menu highlights include the steamed lobster, the roasted veal chop and make sure to try 8½’s signature tiramisu. Hakkasan is a Michelin-starred Chinese chain that somewhat unconventionally comes to China from London. The restaurant interior is sleek and modern yet at the same time comfortable, comprising of a consortium of dark colours broken up by blue and white lights. Housed in the Bund 18 building, the restaurant also provides spectacular views of the Shanghai skyline. The menu is formulated by chef Tong Chee Hwee and takes inspiration from Cantonese cuisine. Whilst the restaurants signature Peking duck does come at a hefty price tag of 1,288RMB, it is well worth the price. The duck is sautéed in your choice of sauce and accompanied by freshly steamed pancakes layered with baby cucumber julienne and mounds of caviar. However, if you don’t want to spend almost 1300RMB on a single dish, the rest of Hakkasan’s menu is also very strong. Additional recommendations include the dim sum platter, the silver cod with champagne and honey and the stir-fry black pepper Angus rib eye. Lost heaven takes inspiration from Yunnan cuisine, this region houses a large number of ethnic minorities and these influences can be seen in its food. Lost Heaven has two locations in Shanghai, the first in the former French concession and the second near the Bund area; both locations decorations stylishly infuse opulent dark wooden furniture and flooring with Yunnanese folk-inspired decor, all being cascaded over by soft lighting. The restaurants do get extremely busy, even still the service remains impeccable throughout the evening. The menu infuses traditional Yunnan cooking, with Western and Southeast Asian flavours; recommended dishes include the Dai li style chicken with chilli & green onions, Steamed cod with Dai Tribe salt black bean and the Yunnan style hot & spicy tofu. Fu He Hui, directly translating to Fortune Harmony Wisdom is a vegetarian restaurant conceptualized by Chef Tony Lu and Fang Yuan; the duo behind the acclaimed Fu 1015, Fu 1039 and Fu 1088 restaurants. The venue is decorated in a museum-worthy display of Ming and Qing dynasty artefacts and provides a tranquillity that instantly transports you away from the bustling Shanghai streets outside the front door. Diners have a choice of eight-course tasting menus ranging in price from RMB 380 to 880. 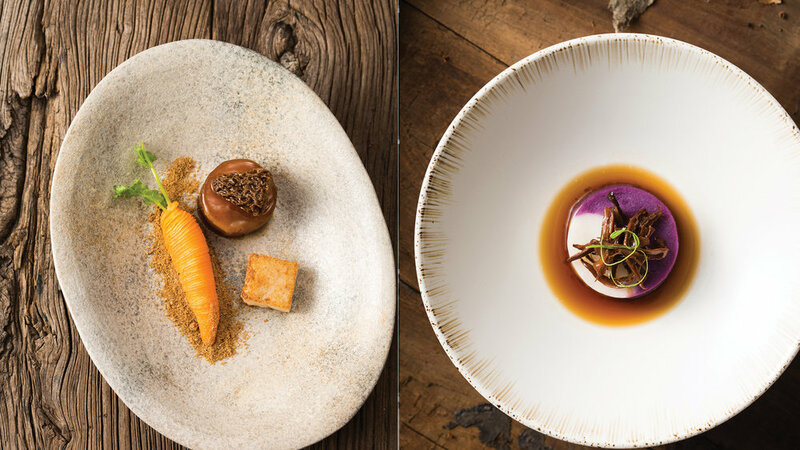 The menu is seasonal; however, dishes are designed to highlight complementary textures, alongside creative and delicate refined flavours. A word of advice, when presented with the walnut bowl, make sure to crack into the real walnuts; roasted to perfection, with a fudge like centre, they will undoubtedly be the most delicious walnuts you have ever tasted. Yang’s dumplings started life as a humble food stall and has now blossomed into a successful restaurant chain, with over 140 locations in Shanghai. 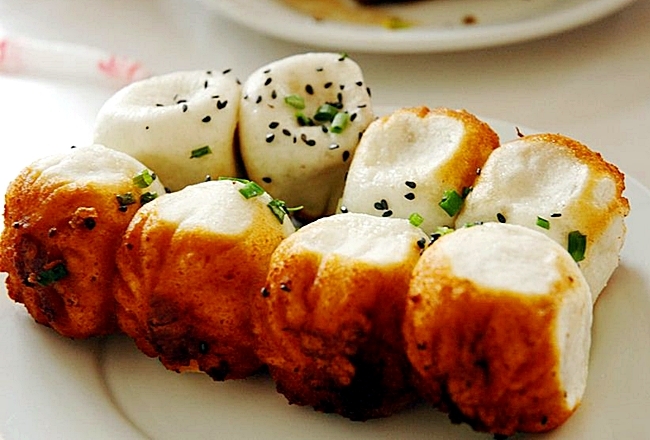 The chain is known for its sheng jian bao, a pan-fried pork dumpling; be careful when eating these fluffy delights, the broth inside is boiling. The key is to nibble at the top of the dumpling, then gently slurp on its juices to cool it down, before going in for a proper bite. At 8RMB for 4 dumplings, these succulent freshly made dumplings are extremely good value for money. We now move on to Shanghai’s other famed dumpling, Xiao Long Bao, a steamed soup dumpling. Excellent Xiao Long Bao can be brought from another chain with locations across Shanghai called Din Tai Fung. However, if you want the best Xiao Long Bao you need to head to a small shop near the people’s square called Jia Jia Tang Bao. The shop itself is unassuming but you will be able to recognise it by the massive queues that never seem to fade. The staff speak very little English, but you can ask for an English menu, which comprises of 8 fillings; pork, shrimp & pork, chicken & pork, egg & pork, crab roe & pork, chicken, shrimp and crab roe. Prices range from 13RMB through to 99RMB for a dozen dumplings. The shop closes when they sell out, this is usually around late afternoon or early evening, but be aware that close to the closing time many of the fillings may be sold out. Xindalu can be found in the lobby of the Hyatt on the Bund, its menu draws upon the various states of China, with an emphasis on Shanghai, Suzhou and Hangzhou. Whilst the whole menu is solid, the restaurant is renowned for its Peking duck, Beggar’s chicken and Pyramid braised pork, which is its adaptation of tung po. The Peking duck is cooked in specially imported ovens from Beijing that are fuelled on freshly cut wood from apple and date trees, this infuses the duck with distinct aromatic flavours that has put it in the conversation for the best Peking duck in the city. The Beggar’s Chicken is equally as impressive, however if you wish to enjoy this dish, it must be ordered 24hours in advance of your arrival. (Note: it also worth ordering the Peking duck in advance, to guarantee that you don’t miss out on the experience). What’s more, the restaurant has an open kitchen, allowing you to watch the chefs prepare your food, which only adds to the theatre of your visit. Established in 2009, Xibo celebrates the cuisine of Xinjiang, the most north-westerly province of China. Originally opening in Changshu Lu, the brand has now expanded into three branches across Shanghai. The restaurant has managed to refine traditional Uyghur dishes, whilst maintaining the same hearty and comforting bold flavours associated with the region. Some menu favourites include its cold appetiser of noodles, with chicken and cilantro, its lumpia wrappers stuffed with scallions and red peppers in a spicy black bean sauce, and its fried lamb and bread salad, which may not be a salad in the typical sense but is a delight. Chef Paul Pairet was mentioned earlier in this list with his restaurant Ultraviolet, however, with a capacity of 10 it is extremely difficult to gain a reservation, and with this reservation comes a hefty price tag (4000RMB per head). Whilst his other restaurant Mr and Mrs Bund is slightly easier to get a reservation for, the bill is still not for the faint hearted. 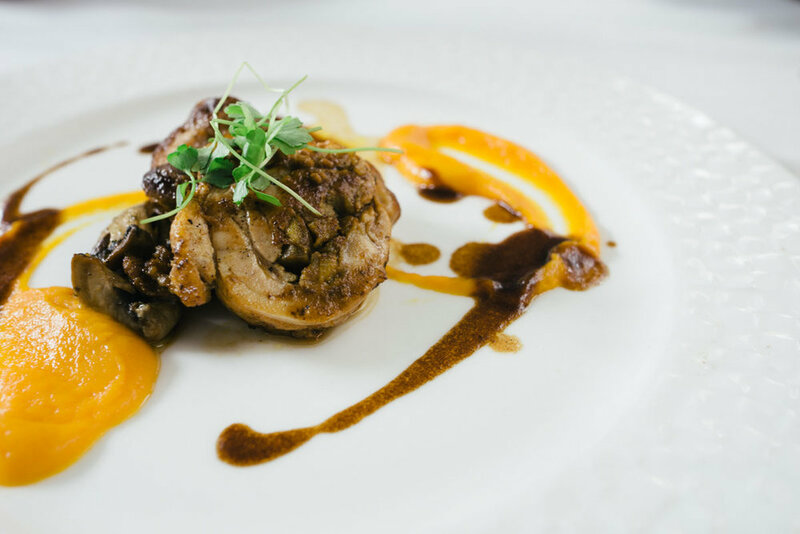 The Chop Chop Club allows you to experience Chef Pairet at a much more affordable price, however, as you would expect from Pairet, it is not your traditional dining experience. The restaurant draws inspiration from the family dining dynamic; home meals aren’t made to order or chosen from a menu, instead you are called to the table when the food is cooked, and you eat whatever is prepared. 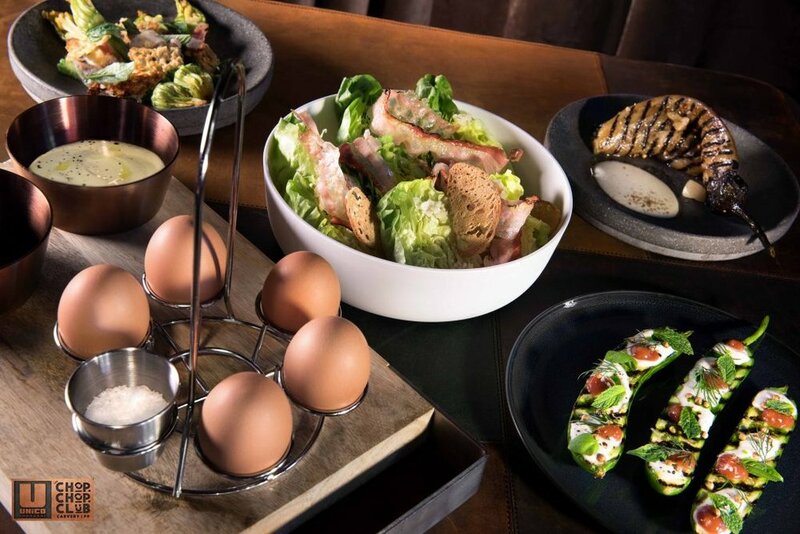 In this fashion, at The Chop Chop Club, dishes are prepared for specific timeslots and it is up to the diners to get the food they wish to purchase when it is made. For example, if you wished to eat the Vineyard Chargrilled Cote de Boeuf Bernaise, you would order this at 7pm. Conversely, if you wanted the Chargrilled Chicken Americaine Lemon & Garlic, this would be available at 8.45pm. Teaching children can be incredibly rewarding and joyful, it can also be extremely stressful and frustrating, this largely depending on the behaviour of students. How children behave is the cumulative result of many contributing factors, thus, it can to an extent be controlled. In this blog we illustrate some tested classroom management strategies, that help maximize student attentiveness and keep the teaching environment one conducive to education. Often, students are unaware of what is and is not acceptable in your classroom, especially when they have no previous dealings with you as a teacher. Hence, it is good practice to clarify what can be expected of them at the beginning of the year. Whilst discussing these rules, you should ask students for their input and make reasonable amendments based on their suggestions. You may feel like certain individuals will try and take advantage of this opportunity, but more often than not you will be pleasantly surprised by the level of cooperation. Furthermore, as you already have a base ruleset, this will act as an anchor from which the final list of rulings will not stray to widely from. Doing this will lead to mutually-understood and respected expectations, as students will have greater buy-in if they feel their voices have been heard. It is also useful to print out the rules the class have agreed upon. Doing this will formalise the ruleset and emphasize the fact that you intend students to adhere to it. Also, if a rule is broken, it can be easily highlighted, with little ambiguity. An incredibly powerful method to reinforce values you wish to see in a classroom is plainly praising students when they display desired behaviour. This will not only encourage students to repeat this behaviour but will improve their self-esteem, as well as motivate other students to display similar behaviour. I have found a particularly effective way of doing this is by awarding gold stars to students for both academic performance and good behaviour. Then at the end of the week reward the student who has earned the most stars a small prize i.e. a chocolate bar. You can also reward the student with the most gold stars at the end of the year with a bigger prize. If doing this, make sure to articulate to the entire class the reason behind awarding all gold stars, this way all will be clear what is considered exemplary behaviour. You should address isolated behaviour instead of punishing an entire class for the actions of one or a few. This will go a long way in maintaining a healthy relationship with your students and ensuring other classroom management efforts are not met with resistance. Linked to this, you should also make a habit of addressing behavioural infractions immediately, this will give the student instant feedback and prevent the behaviour from progressively worsening. It will also go a long way in stopping any negative feelings between the student and yourself building up. When reacting to poor behaviour make sure to keep a friendly demeanour and forgive disruptive students for any infractions they may commit at the end of each lesson. As if you do not, it will create a hostile environment that the student doesn’t want to work in, which is likely to make them want to repeat such behaviour in spite. Whereas if you showcase to the student you are always willing to help them so long as they are willing to help themselves, you will encourage them to seek reform. Also, try to assign the smallest possible consequence to effectively deal with an infraction. This because there is an implicit relationship between severity of offence and severity of punishment, thus by going to go too big too fast you will appear unreasonable and elicit further resistance. Also, if you can only realistically impose slight escalations to a punishment for repeated or larger infractions, the punishment starts to lose its magnitude. When you have the chance, take students who are consistently inactive during lessons for a brief chat. Ask them what their favourite types of lessons are, their favourite in class activities, who they enjoy working with. Note their answers and incorporate them in some way in following lessons, this will show that you value their input and you care about their education. Showing that you care will increase the likelihood of them being more attentive in follow up lessons. You should also give students choice in their learning. This can be as simple as giving an option between alternate tasks or asking a class if they wish for a project to be completed independently or as a group assignment, noting if it is a group project, you expect a higher quality of work. As mentioned previously, student input increases their buy-in, making it more likely for them to put greater effort into the work. Most disruptions occur in between activities. Make sure you have a system in place to deal with this transition period. Certain teachers sit quietly at the front of the class and refuse to move on until there is complete silence. I found this is less effective with younger students, who often don’t realise this is what is happening. For this reason, I developed a system where I would clap my hands loudly 3 times and expect silence within 10 seconds, every time the class managed to do this 25 times, they were given a reward. Another strategy for smoother transitions is to direct the class to do something which most students are already doing but unaware off. This method has its roots in hypnosis, an example being ‘feel your eyes getting tired’, everybody’s eyes feel tired all the time, but we don’t notice this until it is pointed out to us. In the same way a teacher can ask students to do something most are already doing, wait for 100% compliance before issuing another directive. For example, saying everyone look towards me, wait for everyone to do so, then saying we’re going to be learning from page 130, rather than abruptly instructing everyone to turn to page 130. Using students who are attentive and pick up on material easily to aid those who are underachieving has shown great promise in progressing the educating of both students. Possible ways of doing this is by pairing students who are top achievers with those who are struggling during in-class activities or making them reading buddies. Research shows students are more likely to ask qeustions in this one on one setting and by doing so they will be able to get instant clarification on their issues. This also leads into our next point, which is ‘appropriate curriculum is a classroom management strategy’, which refers to the fact that many students who are disruptive are only behaving in such a manner because they do not follow what is going on in class and have lost interest or do not wish to seem of inferior intelligence in front of the peers. Thus, by pairing students of different abilities it makes students who are struggling less likely to be disruptive and concurrently improves top students’ communication and interpersonal skills. Also in explaining a topic the students will have to engage in deeper thought which will strengthen their own grasp of the topic. Surprise well performing students by sending positive letters or phone calls to their parents. Praising academic performance or behavioural effort, will have a trickle-down effect. Parents will generally congratulate their children on their performance, this in turn is likely to make children return to class eager to learn and earn more positive feedback. This is also likely to make parents more engaged with their child’s education and build a better relationship with you. The opposite must also apply, if a child badly or consistently misbehaves you should not hesitate to contact their parents. This should only be applied in severe cases, but it should also not be an empty threat. If you fail to follow up after issuing intent, children will not appreciate the severity of their actions. One widely used system to manage misconduct is writing a child’s name on the board, this can be thought of as almost the opposite of a gold star, and if a child receives 3 negative marks beside their name in a lesson you contact their parents. In a class you will have a mix of attitudes, the majority will lie in the middle, but you will also have a few students at either end of the extremes. As some students will do their best to avoid doing as much work as possible and others will go above and beyond what is required of them. One way of catering to these enthusiastic students is giving the class optional work, this can be an opportunity for students to get ahead of the syllabus or allow students to delve deeper into material they find interesting. This can be combined with a previously mentioned strategy, by awarding the child who produces the highest quality piece of optional work a gold star and allow them to present their findings to the class should they wish. Seeing their peers rewarded for initiative may inspire other students to complete additional work as well, especially if this work seems enjoyable. Furthermore, make sure your students are not the only ones displaying initiative; actively think of new creative and insightful ways of presenting lesson material. This will keep your students entertained and eager to come to your lessons, as the classroom will not become a dull monotonous setting. If a student is not paying attention ask them to volunteer, they most likely will not be able to answer your question, but you can use this as an opportunity to teach them. The benefits to this are twofold; firstly, it stops the disruptive behaviour and secondly it teaches the student what they missed. Children respond to enthusiasm, this can heavily influence the way they approach a task. Even when children initially complain or provide resistance to an activity, make sure not to drop your own enthusiasm as this often overcomes their negativity. Sometimes you may feel like things are implied, but this isn’t always the case; articulation leads to clarification. If the class has done a good job, let them know and equally if you want the class to strive for better let them know. Putting your life on hold to move abroad and teach English is a massive commitment and it is natural to feel hesitant over whether the opportunity is right for you. This blog has been written to help those who find themselves in this position gain better insight into what life entails teaching English as a foreign language. English teachers are in extremely high demand in Latin America, the Middle East, and Asia. Positions in the Middle East offer the highest paying salaries; however, contracts usually last for 2 years and require multiple years teaching experience, meaning new teachers fail to meet the prerequisites. Whilst there are plenty of opportunities to teach English in Latin America, compared to Asia the pay is relatively low, which therefore offers the most promise for aspiring teachers. This blog has been written by Teach Globally, who offer English teaching roles across China. To find out more about what we do click here. Uprooting yourself and jumping into a vastly different culture requires a transition period in which you acclimatize to your new way of life. This process takes time and people can get frustrated when the transition doesn’t come more naturally. Often the reach of culture is underestimated, and people fail to realise its impact trickles into all areas of life. For example, the influence of culture on communication is frequently overlooked, yet it is one of the areas that people struggle with the most on first arrival. As different countries tend to be more or less direct in communication style depending on the prevailing culture. Furthermore, people often fail to consider how the wider cultural environment will extend into the workspace. You may find that the way a school is run and your assigned responsibilities, to not always make sense from your perspective. Keep in mind, every country has its own quirks, for instance, Chinese schools are notorious for last minute timetable changes; this is often a difficult transition coming from a British working environment, where tasks are a lot more structured. When dealing with confusing administrative policies, don’t try to fight the system, learn to relinquish control and go with the flow, eventually you’ll get used to the system. What’s more the profession of teaching is one that requires ample patience. Think back to a time where you had to learn something completely new, now imagine how difficult it must be for a child to pick up a new language with very little similarity to their mother tongue. Thus, if you want to be a teacher get ready to constantly repeat the same point. To add to this point, children can be unpredictable, one lesson all your students may be extremely attentive with everyone putting in maximum effort, the next they can all be rowdy and disinterested. Remember that your students will also have other classes and workloads that will impact their performance in your class. Make sure you maintain your enthusiasm even when your students don’t, as this is infectious and will increase the class productivity. When you first start teaching you may find yourself a little lost and unsure of how to best teach your students. This is completely natural, much of teaching is trial and error; you will experiment with a variety of strategies until you find one that starts to show success. Once a promising strategy is found, it is not a matter of blindly applying it to all students, you must adapt it, using it instead as a foundation that you build on to meet the needs of individual students. Furthermore, over the course of a lesson situations arise that you must adapt too, quickly you will realise that lesson plans are simply guidelines and not step by step instructions. Don’t worry if you haven’t got much practice with this, you will surprise yourself on how well you react to unforeseen circumstances and over the course of employment you will no doubt improve your ability to think on your feet. This may seem obvious, but it needs to be specified, on average you will be teaching to groups of around 30 children. If you are not comfortable communicating in front of this many people, maybe teaching is not for you. This does not mean you can’t feel nervous before starting the job but refers to your capability to articulate lesson material in a clear and enthusiastic fashion. If you would like more practice doing this before taking up a teaching position, there plenty of high-quality resources online, which are free. You can also enrol on a TEFL programme, which help get you prepared for teaching English as a foreign language, however these require payment. If you are considering joining Teach Globally’s programme, this comes with an inclusive teacher training course which is free of charge. Think back to your school years, which teachers made the biggest impact; those who did the bare minimum or those that were passionate about their job and went the extra mile to help their students? In the same way you must be passionate and enthusiastic once you are in the classroom. There is nothing wrong with using this opportunity to explore new countries and travel, but that cannot be your sole reason for taking up the position. Remember you are responsible for the education of children and adolescences and you have more of an impact than you initially realise. Give the job your maximum effort and in return you will receive an unparalleled feeling of warmth as your students’ progress along their English journey. With teaching the more you put in the more you get out; meaning the greater effort you put in, the better teacher you will become, not only this but the passion you project in your work will be mirrored back by your students. Thus, if you are committed you will derive tangible joy, your students will be implicitly grateful and the whole experience will be more enjoyable. There is no one size fits all strategy when it comes to teaching, you must realise each student is an individual and treat them as such. When teaching you must adjust your methods to cater for audiences of different ages, aptitudes and culture. Lessons must be designed to keep students engaged; if they are too easy, students will lose interest, too difficult and students will be overly confused. To add to this point, not all your students will care about learning English and there is no reason to get worked up over this; as you can’t force a person to learn. The key is to make the lessons as engaging as possible to maximise the number of students who actively participate. This may also sway disinterested students to start paying attention, however, even if this is not the case, it will prevent them from becoming a distraction to the rest of the class. Whilst culture does have an impact on how students are accustomed to learning, children are children no matter what country you are in. Thus, some general methods can be used as a foundation upon which you can build your lesson plans. Younger children enjoy learning through interactive games, silly jokes, and physical movement. You want them to spend as much time as possible speaking in English and not their native tongue. Also, it is remarkable, how much more engaged children will become once you introduce some sort of competition; carrying gold stars can make your job much easier. Older students are far more engaged when you connect with them on a human level and it is not a formal teacher student relation. Engage in conversations they find interesting and humorous about sports, music, or other relatable topics, and they will be far more receptive towards you. You may have to make the games more challenging but older students love competition and playing games just as much as their younger counterparts. No matter where you decide to move to teach English, life will be drastically different from what you are accustomed to. In the excitement of looking forward to the upcoming adventure, it is easy to forget that you will be giving up many of the home comforts that you heavily rely on. Thus, once you make the move you may find yourself at points feeling homesick. If this happens, it is important that you have a support network to fall back on. Often people don’t want to burden those back home or tell them things aren’t going as perfectly as they envisioned, remember, this is a big transition, and it is completely normal for you to feel this way at some point. Homesickness is usually short lived, and it is just a matter of pushing through; make sure not to isolate yourself and keep engaging with the community and you will learn to embrace the differences and discover a sub-culture that replaces what you gave up back home. However, if things get to point where you cannot see yourself continuing, remember no one is forcing you to stay, and you can always return home early. Cultural adjustments will also extend to the classroom, as systems that are standard in a UK classroom may not translate over to a non-UK classroom. For example, in some Asian classroom’s students are not accustomed to being singled out to answer a question, as they don’t want to seem of higher or lower intelligence than their peers. One way of getting around this is by accentuating pair work, where the students are far more comfortable and more likely to share answers with the rest of the class. This is where at the end of each day, you write down what went well and what could have gone better. This is beneficial on many dimensions, firstly you know where a particular class struggled, giving you a clear indication of material that needs to be addressed in the subsequent lessons. Also, earlier we stated that teaching involved a lot of trial and error, well if you don’t clearly document your errors you are likely to repeat them, but by having a journal you will have an organised log of what works and what needs improvement. You will also start to see patterns of what works best for different student groups, thus improving your teaching ability. Many people who have little or no teaching experience put great pressure on themselves with regard to creating lesson plans. Whilst you may feel a little lost to begin with, you must realise no one gets it perfect from the outset. However, once you get into the groove of things planning lessons becomes much easier. If you want to be a little more prepared before your first day on the job, there are plenty of resources online that will help you get started. Visual aids can be a great addition, pointing at an apple and saying ‘apple’ gets the point across very effectively and doesn’t require any knowledge of the student’s language, in this way PowerPoint can be used effectively to illustrate your point. A lot of people feel they are terrible at grammar and that this will hinder their capabilities of teaching English. The thing to remember is, you speak the language every day and inherently you do have a very good grasp of English grammar. You may need to brush up on some nomenclature, but this is a quick fix, just read through a book on English grammar and you’ll feel much more comfortable. Also, it is important to note much of what you will be teaching will be conversationally focused and grammar plays far less of a role than you may initially anticipate. Speaking the host country’s language is not a requirement for English as a second language teachers, and in many establishments you are paired with a teaching assistant who will help translate into the local language. However, knowing the local language does make day to day life much easier; whether it be to make conversation with neighbours, order food or any other task that requires communicating with non-English speakers. Whist you can suffice on English, it is a fantastic opportunity to pick up a new language. At Teach Globally we offer free mandarin lessons to any applicant that decides take up one of our teaching positions. Knowing the local language will also improve your teaching ability and let you more easily connect with your students. Whilst at the same time giving you a better understanding of the culture, enhancing your overall experience. Our advice is to embrace every opportunity you have to practice the host language and don’t be afraid to sound silly. People may laugh at your accent but it’s in good nature and they will appreciate the effort you are putting in. It will also give you better insight into what it takes to learn a new language, which you can then apply to your teaching. Getting sick is never fun, but the experience is far worse when you get sick abroad as you don’t have the comforts of homelife to fall back upon. Thus, we have compiled a list of simple, yet important reminders that go along way in keeping you healthy on your travels. We start with the most obvious advice, everyone knows the benefits of drinking water, however, in the excitement of travel it is easy to fall short on your recommended daily water consumption. Especially if you are visiting countries with extremely hot climates and spending vast quantities of the day outdoors, your body will require a greater volume of water than you are used to. Hence, our first piece of advice is to make sure you drink enough water to compensate for what you lose. Also remember, when travelling to certain exotic locations, you need to be careful of the source of water, as your body may not be able to cope with the bacteria in the local water supplies, here it is vital you stock up on bottled water. Ever find yourself feeling dehydrated whilst sitting in a long-haul flight? There is a simple reason for this, you feel dehydrated because you are. Spending long periods of time in a low oxygen environment such as an airplane seriously dehydrates you. It has been shown that over a 10-hour flight, on average men lose around 2 litres of water and women around 1.6 litres. As alcohol also dehydrates the body, it is good advice to avoid drinking alcohol altogether whilst flying. Not only this, alcohol weakens your immune system, and this combined with being tightly packed with other people in a confined space is an easy way to pick up a flu or virus that can dampen your travels from the get go. Once on vacation, everyone wants to have a good time, and this often leads to people ditching the water for a glass of wine or having a few extra beers at the end of the day. If this describes you, remember that alcoholic and even non-alcoholic sugary drinks are packed with calories, a 6-pack of beer has the same calorie count as eating a loaf of bread; so, the keyword to keep in mind is moderation. It is often difficult to stick to your regular gym schedule on holiday, especially with all the amazing sites you want to visit. An efficient way to remain active on holiday is to walk whenever possible. Walking around the city is the best way to explore it, you’ll discover hidden gems whilst on your way to your destination and truly immerse yourself in the city’s culture, whilst at the same time getting in your exercise. If you are staying in a hotel with a gym, make the most of its facilities. If not, you can always work out in your room, there are plenty of high-quality bodyweight workouts that require no equipment. Personally, I find yoga tutorials on YouTube very useful, they require very little space, no real equipment, also you can vary up your practice according to your mood and depending on how intense you want to go. Another possibility is for you to join a class, for example, if you are in Thailand train in Muay Thai, when in India do some yoga, if you are in Venice go workout on the beach; the point being to engage in the activities that your destination has to offer, after all travelling is not just about looking at old buildings and this is a fun way of remaining active. What works best for me is keeping to a routine, as I found far more success working out every day at the same time over trying to fit in a workout in my free time, as often this free time never materialised. Also, I like to set myself small achievable fitness goals, then I write these down, so that they are visible in front of me to help keep me motivated. When unfamiliar with the local cuisine, many people’s default is to stick to what they know, however, this means missing out on the fantastic authentic dishes that you can get nowhere else. What’s worse is skipping out on this fantastic opportunity and instead opting to eat in fast food establishments such as McDonalds. If you’re worried about food poisoning, a quick rule of thumb is to eat at the busiest restaurants, the more locals dining at a restaurant, the greater the likelihood its food is safe as well as tasty. To add to this point indulge yourself a little, you travel to a country to experience it, and its cuisine forms a big part of its identity, so don’t limit your experience because something looks a little too unhealthy; when else are you going to get the opportunity to try it. The key is balance, if you over indulge yourself on carbs or sugar make sure to counterbalance this with a harder gym sessions and increasing water consumption. A simple way to keep your calorie intake in check is to keep your snacking healthy, swap the crisps and chocolate for dried fruit and nuts, these snacks are non-perishable thus easy to travel with and allow you to feel less guilty when exploring the local delicacies. The most common ailments that will hamper your travels is stomach issues, this is generally a result of your stomach not being used to dealing with the local cuisine. Thus, carrying digestive supplements, such as digestive enzymes and probiotics can come in very useful. If you aren’t a regular probiotic taker, it is advised to start a few weeks before your vacation because it takes some time for the benefits to kick in. It may also be beneficial to carry some essential vitamins to supplement your meals, to compensate for the nutrients which you may be missing during your travels. We mentioned previously that flying dehydrates the body, this will dry your skin, a simple remedy is to carry moisturizer and apply this during the flight, just make sure the bottle fits regulations. Once you have landed if you are in a hot climate remember to apply sun screen, often this must be topped up throughout the day, especially when spending large portions of the day sightseeing outdoors. If the country you are visiting has a large population of mosquitos or insects, make sure to purchase insect repellent. Furthermore, you can also purchase an insect repellent plug that you can fix into your bedroom to protect you while you sleep. Especially when travelling in less developed countries, it may be difficult to get hold of simple first aid staples such as disinfectants or bandages, so it is always a good idea to pack your own. Of course, there is no point bringing the equipment if you don’t know how to use it, so make sure you are versed in basic first aid, you never know when you might need it. Its also useful to bring hand sanitizer, using hand sanitizer is an easy and very effective way of limiting the impact of unwanted germs and bacteria, especially when backpacking and water and soap aren’t readily available, hand sanitizer is an essential. Continuing along this theme, it is always useful to get travel insurance, in case you need medical help on your travels. Remember to fully declare all pre-existing conditions to guarantee no complications arise if making a claim. Travellers who have made the same or a similar journey to you are in the best position to give you advice on the do’s and don’ts to stay healthy, learn from their mistakes rather than making your own. You never know where you will get good advice, so don’t dismiss it until you try it. Our next piece of advice almost opposes what we have previously stated, but it is important to remember travelling is a strenuous activity and a key part of remaining healthy is getting adequate rest. Very often travellers want to pack as much into the day as possible to get the most out of the experience, but just remember your body needs time to recuperate, the best advice comes from listening to your own body, so if you’re feeling tired don’t push yourself too far. A useful tip for those travelling across time zones, is to make sure to put your phone on silent before going to bed as people back home may not know what time it is for you. If you are going to be moving around a lot, remember you will have to carry your suitcase everywhere you go. Often people pack clothes for every possible contingency causing them to carry around a lot of unnecessary weight. So, do yourself a favour and keep everything to the minimum, you can suffice on far less than you think. Graduation is a complex time in young adult life, eliciting a swarm of emotions from students, who are overwhelmed with feelings of excitement, confusion, and anxiety as the day approaches. The source of all this emotion comes in trying to answer the lingering question; what am I going to do after graduation? This blog shows an alternate to jumping straight into a graduate scheme and how teaching English abroad can help you expand your horizons and be just what you need after finishing your degree. At this moment in time, you have the least amount of responsibilities you will ever have in your life. You most likely don’t have a mortgage or a family to support – now is the ideal time to explore a new culture and move abroad, before you are tied down with new responsibilities. Furthermore, you will be earning a salary and living costs will be lower than they are back in the UK, meaning you will not be losing money, which is often a concern for recent graduates, especially with the continuing burden of having to pay off massive student debt. Also, with teaching programs, you have ample time off meaning you can explore surrounding areas and are not just restricted to your base location. If you wish, you could go on small trips every weekend and save your longer travels for assigned holidays. Whilst you may have lived on your own during university you most likely stayed in student housing or shared an apartment, thus were surrounded by friends; and whilst it may have been sustainable to live off ready meals and quick fixes during university, this isn’t the best long-term strategy. Furthermore, up until now you have had the security of education where you have been entirely familiar with the organisational structure and what is expected of you. Even in university, which is supposed to get you ready for life after education, the repercussions are far milder than in the real world, as in you can miss a few 9am lectures and you can get away with a quick nap during the occasion lecture. The best way to learn to be truly independent is by jumping into the deep end and what better way of doing this than entirely switching environment by moving abroad to a country with a completely foreign culture. Above this, moving abroad will help you discover yourself, by leaving your regular life you will be able to better assess what truly motivates you and brings you happiness. Furthermore, you will be interacting with people of different cultures, this will build your communication skills, enhance your ability to adapt to new settings and make you more comfortable dealing with the unknown. You will also realise to appreciate the things that connect as all as humans and learn to appreciate the differences that make us all individuals across cultures. You will meet many likeminded individuals also taking up similar teaching positions, here you have the opportunity to make lasting friendships, or even useful contacts for your future life. Furthermore, if you decide to travel to neighbouring cities and countries in your time off, you will engage with a vast array of people of many different cultures, any of which who might light the spark that leads you into the journey of self-discovery. The point being you will be engaging with individuals you would not have otherwise met and you never know who is going to end up inspiring you and influencing the rest of your life. You will probably have friends from university that have secured prestigious graduate jobs. But this shouldn’t deter you from taking a year out of what you may consider to be your desired career path to explore a new culture; later in life you will probably be glad you didn’t rush into a graduate scheme, as it will still be there when you get back. What's more, before making a big decision it is often beneficial to take some time and distance yourself from a situation to gain better perspective; as it is often difficult to truly reflect when you are in the middle of a situation. Too often students jump straight from education to a career without fully considering what they truly desire out of life. Taking a year out to teach and explore new cultures can be exactly the break which is needed to evaluate your options; you may realise that you want to pursue a completely different career than what you initially envisioned for yourself, or you may return reaffirmed with your initial choice, either way you will have a year of fond memories to look back on. Whilst teaching English abroad, you will undoubtedly pick up new skills that are highly desirable by employers. Whether this be a strengthened ability to adapt, or the increased independence and confidence obtained from moving into a foreign country. You will also find the job role to better your organisational capabilities and communication skills, as well as make you more flexible and understanding to the needs of co-workers. Thus, moving abroad is a catalyst for personal growth, and discussing how you overcame the massive transition and the hurdles you encountered along the way makes for interesting interview conversation. Furthermore, travel enhances your conversational abilities which will undoubtedly help during the interview process of future job applications. Also, teaching abroad can be your first steps towards international experience, making the prospect of living and working abroad not seem as daunting. This opens your job search from being limited to the UK to the entire globe, thus increasing your odds of obtaining your dream job. The corporate environment is becoming increasingly globally integrated; hence it is always useful to be bilingual as this can have an exponential impact on the number of your available opportunities. This is supported by industry data from salary.com, which states on average bilingual employees earn 5-20% more per hour. Although it is not always necessary to pick up a new language when you move abroad, it is a fantastic opportunity to do so, as you are immersed in an environment that is conducive to learning this language. Moreover, international business relies not only on a common language but also requires an understanding of the business culture of the country you wish to engage with, the nuances of which are difficult to realise without living in the country. Even if your desired job role doesn’t require knowledge of any other languages, you never know when being able to communicate in another language may come in useful. A study conducted by William Maddux of INSEAD Business School found that integrating with new cultures improved problem-solving amongst MBA students. It was also discovered that those who displayed an open-minded attitude towards different cultures were able to make more complex connections between disparate ideas. Furthermore, Angela Leung of Singapore Management University showcased in a study that students who were exposed to more than one culture were more likely to generate unconventional ideas. Thus, it has been shown engaging with other cultures makes you more creative and a better problem solver. Teaching abroad offers very attractive salaries at Teach Globally our teachers earn between £21,000-£35,000 per year, with a bonus upon the completion of a 12-month contract. Furthermore, because of lower living costs in China compared to the UK, the relative value of this salary is far greater than it would be in the UK. Spreading knowledge is one of the most satisfying feelings in the world, the joy of teaching young children brings instant gratification. Teaching English abroad gives you the opportunity to experience these interactions in a relaxed atmosphere. If the prospect of this appeals to you, why not learn more about what Teach Globally does here, or if you’re ready apply here. Tagged: Why you should consider teaching English after graduation, graduate careers, post university careers, careers, what to do after university, what should I do after I graduate? Duck de Chine is the culinary vision of father son team Peter and Wilson Lam, located in a converted industrial complex, the restaurant is in the backdrop of a magnificent Beijing skyline. The pair have put their own spin on the Beijing signature dish Peking duck; roasting for 65 minutes, over 30-year old date tree wood. 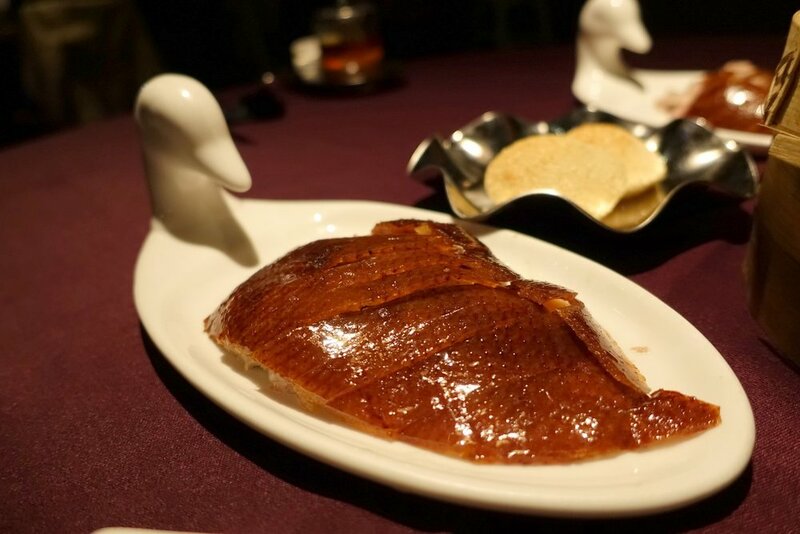 The method creates a succulent Peking duck with a crisp, lacquered skin, which is perfectly accompanied by the restaurants succulent dipping sauce. Its Peking duck may be its signature dish, but the other items on the menu are also strong, recommended items include pumpkin infused with sour plum, lobster fried with XO sauce and its dim sum. Founded by chef Michelle Garnaut, located on the southside Tiananmen Square Capital M offers some of the most incredible views of the Zhengyangmen Fortress and the Forbidden City. The menu is influenced by European, Middle Eastern and Asian flavours, some highlights include their crispy suckling duck, smoked salmon and their renowned pavlova. The venue is also home to one of the most popular rooftop bars in Beijing that serves some delicious cocktails. The Head chef at King’s Joy Chef Pan Jianjun is a former disciple of the Buddhist Donglin monastery in Jiangxi province. The restaurant is a homage to the vegetarian lifestyle of the monks and uses fresh organic ingredients carefully chosen from local farms. However, it is far from the simple and bland food you would imagine coming out of a monastery. The dishes are bursting with flavour; with a taste and texture that delivers meaty notes which will satisfy even the most devout carnivore. You are also able to purchase delicately balanced healthy beverages that leave you both satisfied and guilt free. This is all perfectly accompanied by the setting, as there is an unmistakable ambience in dining area, which is decorated in a beautiful bamboo forest. Temple Restaurant Beijing is the creation of Belgian restaurateur Ignace LeCleir, perfectly located to overlook the moat and east gate of the Forbidden City, a onetime Tibetan temple is now a sleek and refurbished restaurant complex. The menu is that of modern European, most notably influenced by French cuisine offering plenty of caviar and truffle. Recommended dishes include the roast suckling pig and rice flaked crusted lobster. The menu also offers an extensive wine list that can compete with any restaurant in Asia. Najia Xiaoguan presents its take on Manchurian food, the Manchu used to live in the north-east of China during the Qing dynasty. The restaurants signature dish is its venison, but all of its slow-cooked meats and stews are beautifully composed. Other recommended dishes include the ox ribs and hoof, crispy skinned prawns and the braised eggplant. The restaurant also offers an extensive wine list of both local and imported wines. Chuan Ban is the canteen at the Sichuan provincial government office building. Being a canteen, the restaurant is not exactly elegant, but it is the home to arguably the best Sichuan food on the planet. 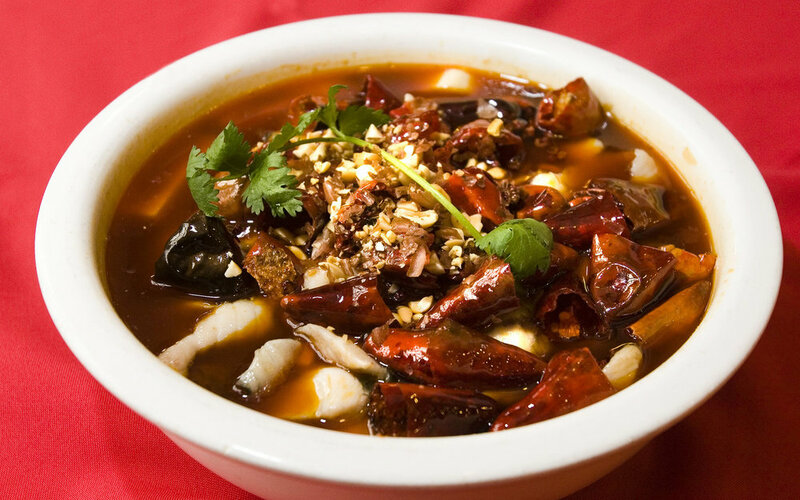 Sichuan food is known for its use of spices, including heavy reliance on the Sichuan peppercorn, thus can be quite hot. Recommended dishes include lazi ji (deep-fried chicken with chilies), shuizhuyu (a spicy fish cooked in broth), as well as its mapo tofu and its kungpao frog. Haidilao is a chain that started in 1994 the serves a nutritious Sichuan Chinese hotpot, there are currently over 10 branches around Beijing. Hot pot is the cooking of thin slices of meat, fish or vegetables in a bowl of potently flavoured stock. The restaurant is open 24-hours but there is likely to be a queue no matter what time you go, however, whist you wait you can enjoy a complementary mani-pedi, shoe shine and fruit plate. The atmosphere is good fun, with enthusiastic staff who give a performance if you order the hand pulled noodles which are served tableside. You also can fashion your own sauce to perfectly accompany your hot pot at the sauce bar. Baoyuan is a restaurant that elevates the humble dumpling, offering an assortment of different fillings encased in flavoured dough. The wrapping comes in a collection of colours, which are all died with natural flavours i.e. carrots make the orange and spinach the green. These colours are not simply for appearance, their flavours are used to elevate the dumpling’s filling. The menu includes a healthy mix of vegetarian and non-vegetarian options, favourites include guo bao – a purple dumpling with a crispy rice filling, there are also some very tasty side dishes such as the wan dou (green pea shoots). Zhang mama is a family restaurant that offers some of the most traditional and most affordably priced Sichuan food in Beijing. There are now two locations, the original location a tiny room where diners queue up outside the restaurant and slightly larger second location on Jiaodaokou Nandajie; where diners again cram alongside one another to sample the delicious authentic Sichuan style food. Recommended dishes include there Xiang guo (a stir fry bowl), hui guo rou (twice cooked Sichuan pork rump), as well as the dandan noodles and mapo tofu. The Dali courtyard is located near the Drum tower in a beautiful courtyard; during the summer the restaurants glass roof is removed allowing dinners to sit outside, enhancing ambiance. The restaurant serves Yunnan cuisine, and dinners are given no choice, instead you will receive a set menu crafted depending on what the chef found most appealing in the market that day. The menu usually includes a mix of fish, meat and vegetables. A possible menu could be ox liver mushrooms or pan-fried goat's cheese for appetisers and a main of deep-fried crispy prawns and butterflied tilapia fish in lemon grass. The menu is usually priced between 100- 200 RMB for adults, kids eat for 75 RMB and infants are free. When moving to a new country it is crucial to know how much money it will cost to maintain a standard of living you are comfortable with. This short guide helps clarify how much it costs to live in China. As in any other country the cost of living in China will vary greatly across the country. For this blog we have used average prices in China’s 3 biggest cities; Beijing, Shanghai and Guangzhou. Cost of living in smaller towns and cities are generally much cheaper, however it can be more expensive to gain access to western amenities in these locations. It is important to note even in China’s biggest cities living costs are still considerably less than the average large western city. Generally, accommodation is your largest expense, thus it is vital you can afford to maintain monthly payments of your chosen housing. Below you can see average prices for basic accommodation in Beijing, Shanghai and Guangzhou. Whilst Chinese products are relatively cheap, getting hold of certain western staples like milk or your favourite beer can be a little more expensive. An easy way to avoid paying these premiums is to immerse yourself in local culture; if you cannot live without a certain western product, don’t worry, the slight premiums you will be required to pay are likely to be more than compensated for by the savings you make across the rest of your daily expenses. Leisure activities will of course vary greatly from person to person. If wanting to engage in a specific activity you should research beforehand to see if it can be easily accessed from your new location. You can see a list of general activity average prices below. The Great Wall is China’s most iconic landmark; spanning over 21,000km it is the longest man-made structure in the world, and deservedly has earned its place as one of the seven wonders of the world. Original construction of the wall began with China’s first emperor Qin Shi Huang in order to protect his newly formed Qin dynasty from the invading nomads, construction was then continued across the different Chinese dynasties. Whilst the wall traverses from Hushan, Liaoning in the east to the Jiayuguan Pass in the west, the best preserved and most visited section of the wall is near Beijing. Located in Beijing, the Forbidden City also known as the Imperial Palace is the largest palace in the world, with its entire complex covering 183 acres, consisting of 980 buildings and 8707 rooms. The palace took 14 years to build, with construction commencing under emperor Zhu Di in 1406. From 1420 to 1911, the palace housed 24 Chinese emperors during which time ordinary people were forbidden entry, with access only being granted to the imperial family and their courtesan. The palace is also home to 1.17million pieces of art from the Ming and Qing dynasties, including paintings, ceramics and sculptures. While digging wells on the outskirts of Xi’an in 1974, a group of farmers stumbled across one of the most significant discoveries in the history of archaeology; the terracotta army, which had remained hidden underground for over 2,000 years. 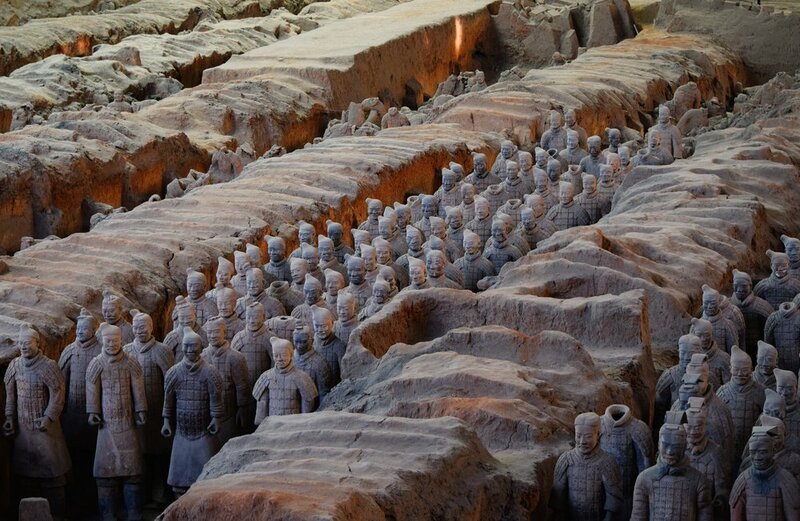 The site holds over 8,000 life sized clay soldiers, with each sculpture individualised so no two soldiers look the same. As well as model chariots and horses all buried with the mausoleum of the first emperor Qin Shi Huang; representing the army that triumphed over the other Chinese armies in the warring states period to form a united China. 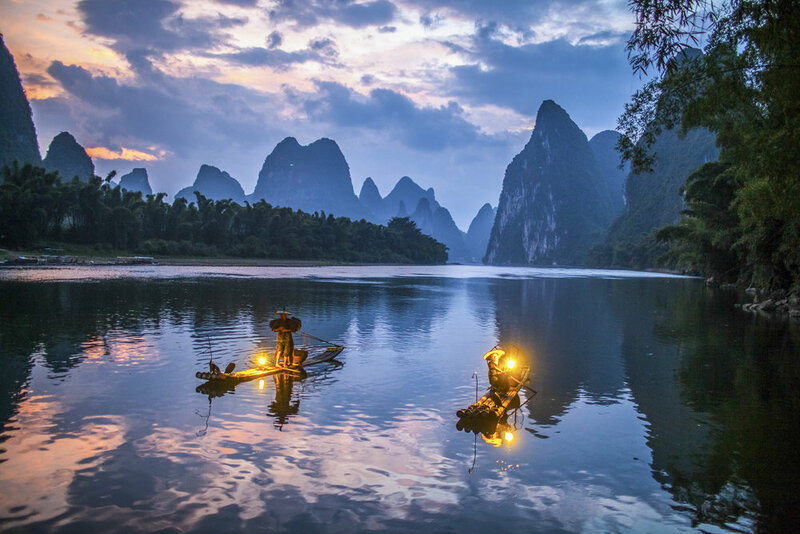 The natural beauty of the 83-kilometer stretch of the Li River between Guilin and Yangshuo has been the inspiration for generations of Chinese painters and poets. The crystal-clear river meanders through rolling hills, remarkable cliffs, startling caves, and beautiful forests as well as traditional farming villages. The best way to witness these spectacular sights that have been listed as one of the world’s top ten watery wonders by National Geographic Magazine, is by boat trip along the river. Jiuzhaigou valley is a national park and world heritage site located in Sichuan province. The valley boasts an assortment of magnificent tiered waterfalls and multicoloured glacial lakes that come in tones of blue, green and turquoise, surrounded by vast mountain forest, all in the backdrop of snow-covered mountains. The area is truly an unspoiled, natural wonderland. The valley is also a habitat of the giant panda and golden snub-nosed monkey. However, due to the vast size of the valley it is rare to see them. To get up close and personal with the panda’s in their natural habitat, it is worth taking a trip to Chengdu. 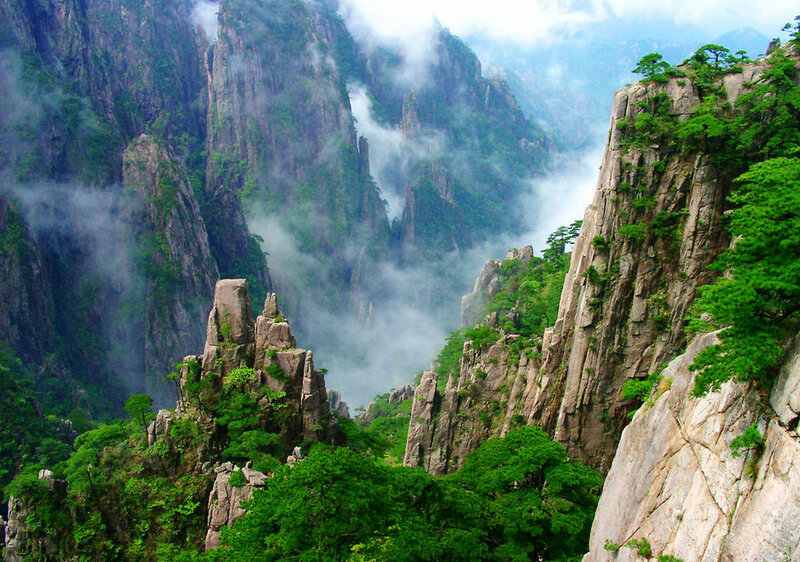 Moving on to another of China’s national parks, The Yellow mountains located in the Anhui province, close to Shanghai are the most famous peaks in China. Standing at a height of 6115ft, these are the perfect location for a hike and outstandingly beautiful especially during sunrise and sunset, when the mystical seas of clouds surrounding the mountain luminate. One of many interesting sights to behold is the flying stone, a 39ft tall stone balanced on the edge of the rock cliff. The Bund is Shanghai's magnificent river promenade, the most recognizable architectural landscape of Shanghai, it has a distinctly European influence, with clear inspiration from Gothic, Renaissance and Art Deco styling. 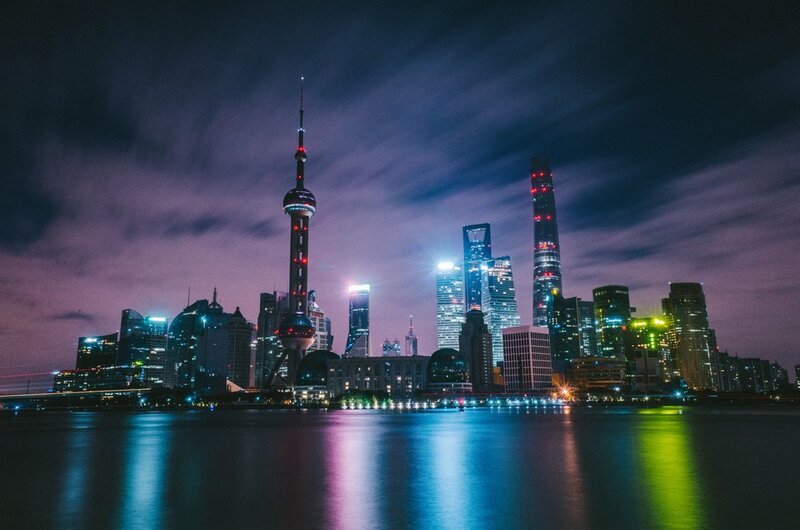 Going for a stroll down the bund allows you to visit Shanghai's most exclusive boutiques, restaurants and hotels, whilst also giving the perfect view of the Pudong skyline, which is particularly remarkable during the evening. The West Lake is a six kilometre square lake in Hangzhou, Zhejiang province, that is surrounded by ancient buildings, gardens, picturesque hills and tea farms. The West Lake is undoubtedly the highlight of the city that Marco Polo described in the 13th centaury as 'the city of heaven'. Although the natural beauty is spectacular all year round, the best time to go is the spring, when the walkways are decorated in the blossoming trees including the many peach trees that have been the inspiration of numerous classical Chinese paintings. Located in Datong city, Shanxi Province, the Yungang Grottoes host the oldest collection of Buddhist carvings in China, with 252 caves containing 51,000 statues. Dating to 460 AD the breath-taking Buddhist cave art takes inspiration from Indian, Persian and Greek influences. The largest Buddha effigy comes in at an outstanding 17m and the 5 caves created by Tan Yao in particular have been widely accepted as a classical masterpiece of Chinese art. Zhangjiajie located in the northwest Hunan Province contains some of China's most spectacular landforms, streams and forest areas. 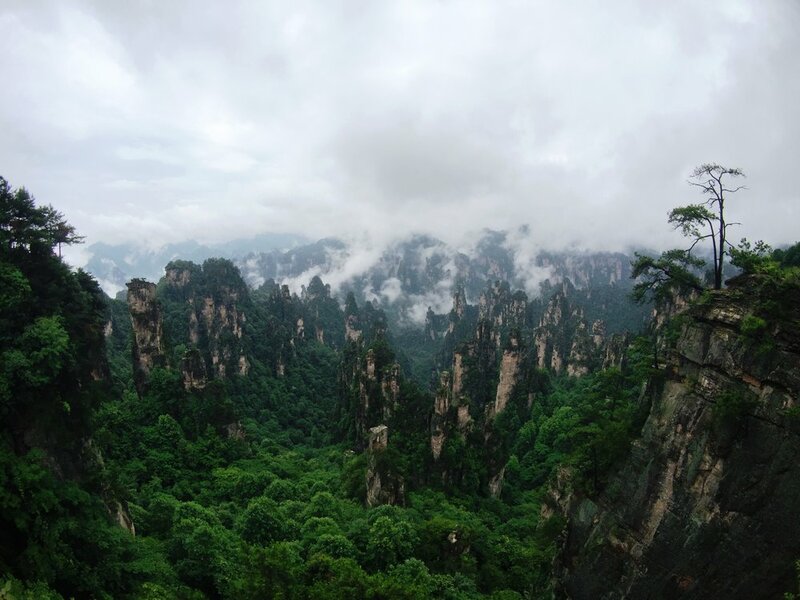 The area became famous after the release of James Cameron's box office hit Avatar, in which the Hallelujah Mountains were based of the Heavenly Pillar in Zhangjiajie National Forest park. As well as boasting spectacular beauty, the area also houses more than 3000 distinct plant species as well as rich array of wildlife including the Chinese giant salamander, the water deer and the clouded leopard. Those on the Teach Globally programme are ensured to have sufficient time off from teaching to explore China and visit its greatest locations, what's more, our participant concierge team is on hand to provide advice on travel around China. You should try and get as much information on your destination as possible. Is there good public transport or do you need a car? What would your living cost be? You should check the prices of items you use frequently and consider essential. What is the exchange rate? What is the weather like? You should also spend some time researching the local laws and customs, the more you know the easier the transition. Check blogs of people who made a similar move to get insight into their experiences. It can be useful to contact expats living in the country your moving to for advice on the move. If you manage to establish a friendship, this has the added benefit of you already having a new friend in your new home, who can help you settle in and make the transition a little less daunting. Find out about the health policies of your destination country, you may be covered by your NHS contributions, you should find this out and make sure you have coverage in your new residence. You will have to notify your GP of your move, you should also check with your GP of any vaccines that you may need prior to your move. More can be read at: https://www.nhs.uk/NHSEngland/Healthcareabroad/movingabroad/Pages/Introduction.aspx. You will require a visa to reside in your new country, you should be aware if you are arranging your own immigration or if your employer is supplying your work permit or visa. If you are arranging your own immigration, to ensure your paperwork is correct it is advised to seek the help of an immigration lawyer or a visa agency. You should make sure you understand the relevant immigration laws and are aware of any submission deadlines. If you’re moving with Teach Globally sponsorship for your visa will be provided by the school that employs you. Remember the more you take with you, the more it will cost for shipping, so you should only move items that are essential. A good way of going about this is make a list of all your belongings, this will make it easier for you to visibly see how much you are taking and choose what does and does not make the final cut. You should then arrange a home visit with a removal company, so that you can be sure of the volume of your goods. When arranging your belongings to be shipped it is advised to obtain quotes from at least 3 removal companies to make sure you get the best price. You should give your chosen international removal company at least one months’ notice, it is advisable to give even more notice in the summer is this is usually a particularly busy time for removal companies. Your international removal firm will be able to provide you with details of your destination country’s customs requirements for importing household goods. One of the most important decisions of your move is finding the right place to live. It is useful to do research beforehand for homes to buy or rent. This will also give you insight into living costs and what you can expect for your price range. However, you must remember you will only be able to get a true feel of the neighbourhood once you get there, and since this is your basepoint it is vital that you enjoy living in the area and have easy access to your frequent stopping points. Make sure you find accommodation for the first few weeks whilst you search for a more permanent residence, one option is staying in a hotel, but this can get expensive; more affordable short-term accommodation can be found through websites such as Airbnb or staying in hostels or guesthouses. Furthermore, you will often find you can haggle a better price in person than if you were to find accommodation online and sometimes guesthouses will offer discount rates if you plan to stay long-term, especially in the off-season. If you are moving with Teach Globally you will be assisted in finding accommodation that suits your needs. When purchasing local currency shop around to find the best exchange rate, remember airports often give far less favourable exchange rates than outside services. If using the same bank account from your home country make sure the bank doesn’t charge a high premium for international transactions. Also, it is useful to have a safety credit card, this way if you lose your wallet you still have access to some money. Your bank card can be replaced but it will be sent to your registered home address not your overseas address, thus regaining access is often a lengthy process. Before moving you should research all the documents you require to open a bank account in the country and make sure you take everything you need with you. Remember, if you need to make international payments there will be fees and exchange rates involved, this can often be more expensive when done through your bank, so make sure you search for the best deal first; PayPal often offers competitive rates. Also, make sure you understand how taxes will apply to you in your new residence and in the UK. More can be read on this at https://www.gov.uk/tax-right-retire-abroad-return-to-uk. When moving to a new country not knowing anyone is the quickest way to feel homesick. Talk to as many people as possible, be open to making friends with anyone, whether it be the local coffee shop owner, or your neighbours, make an effort to make as many friends as possible; this will help you settle into your new home much quicker. Try joining classes or engaging in activities with a social environment, this can be taking up yoga, going to art class, or taking cooking lessons, literally anything that tickles your fancy. This is a good way of getting to know likeminded people and gives you a productive escape that you can look forward to. Try to say yes as much as possible, be open to exploring the local culture, and take advantage of as many opportunities as you can, you never know where it might lead or who you might meet. If you are new to the language and worried about this, there are many excellent online language courses i.e. Rosetta stone, that can quickly let you learn some useful phrases. But remember learning a new language is a lengthy process and don’t be put off by not knowing the local language, you’ll be surprised how much you pick up engaging with the locals; don’t feel self-conscious about sounding silly, people will appreciate the effort you are making. You can also take classes in the local language and this may be another good way of getting to know people. If you are moving with Teach Globally Mandarin lessons are included. When you start socialising with locals, they won’t want to be calling or texting your foreign number as it’s too expensive, so make sure you get a local number as soon as possible. To keep in contact with friends and family back home download apps such as Skype or WhatsApp, where you can use the internet to message and chat for free. Don’t let the stress of moving and the uncertainty of living in a new country weigh on you, embrace the experience and make the most of your move!